View Poll Results: Headcount; will you attend the Deals Gap Run? 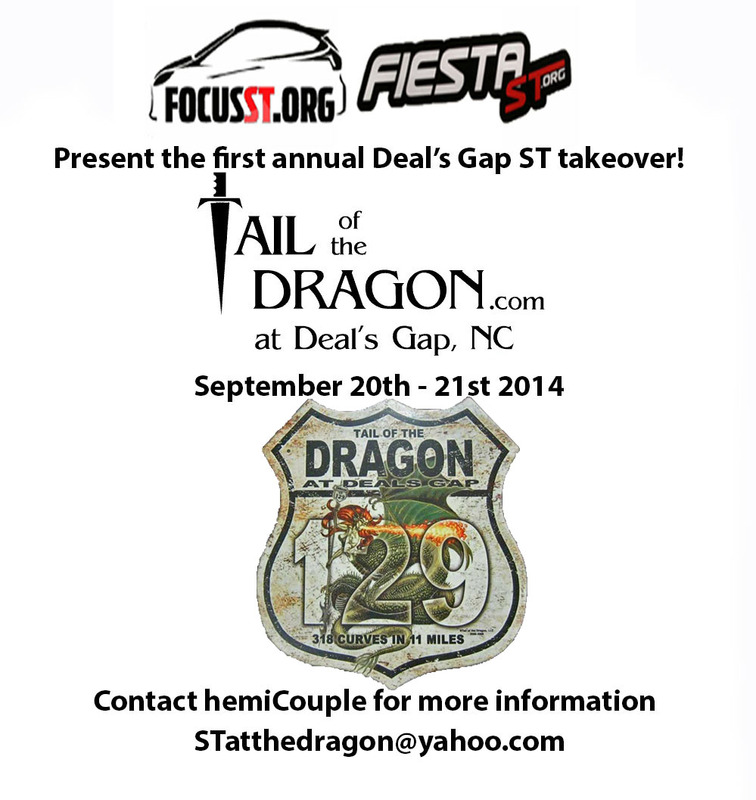 The FirST annual ST takeover of deals gap will be Sept. 20-21!! Tell all of your friends! Official lodging will be provided by Grand Vista Hotel and Suites, the rate will be 69.95 +$5 if you require a double. Reservations can only be made via phone at 423-884-6200 please mention the code: focusst in order to get the group rate. THIS RATE WILL NOT BE HONORED VIA INTERNET RESERVATION you must call. Here's the VERY ROUGH first draft of a potential itinerary. This is very much living and breathing. Post up opinions, suggestion, and ideas here in the thread. 8pm Sunset ride down the dragon, Night rides to follow for those interested. All others do as they please. I shall mark the calendar! Ok, so at least 2 STs in the same place! Is that a record?! i 100% cannot do august. got a wedding and a bunch of other **** to do then. mid-september gives me enough time to recoup money. plus i got a place to stay in NC so that works for me. 4th Annual Toronto ON and Area Dyno Day! !